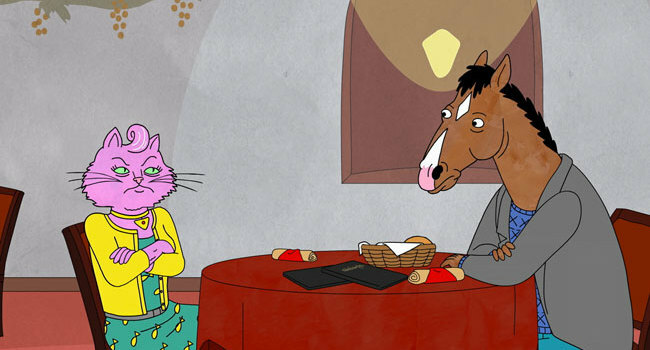 In BoJack Horseman, Princess Carolyn (voiced by Amy Sedaris) is BoJack’s agent and on-again-off-again girlfriend. Oh, and she’s also a pink, anthropomorphic Persian cat. In BoJack Horseman, everyone is seemingly oblivious to the fact that Vincent Adultman, who likes to hang out in bars, is actually three kids in a trench coat with a broom for one hand and a mannequin hand for the other. Princess Carolyn even goes so far as to date this “stud”. 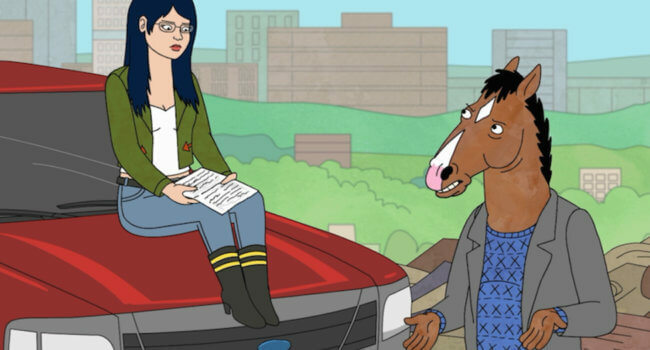 In BoJack Horseman, Todd Chavez (voiced by Aaron Paul) is BoJack’s roommate. He slept on BoJack’s couch after a party one day and has lived there ever since. Todd’s been known to have run-ins with a Mexican drug cartel.